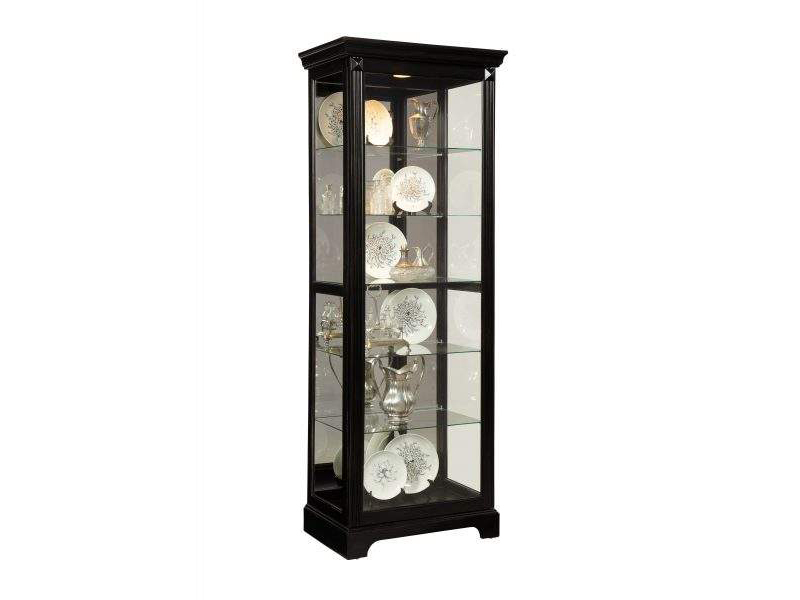 This display curio offers high-end style and ample display areas. The gloss black finish and simple design elements lean to the transitional style and can be a perfect addition in most homes. The front of the case is constructed with a two-way sliding door With lock. The back interior of the case is mirrored. Five adjustable glass shelves can be found in the interior, along with one halogen can light with a roll-switch. The case is decorated with reeded pilasters and diamond-shaped carvings at the top.